Once again our members shared some amazing projects at show and tell!! Take a look at what our members shared in November. Eileen has been working on this quilt for about a year. This quilt is made of 1,827 pieces! Fellow member Lisa quilted it. The pattern was created with YouPatch. Ellen made this quilt for her son to take to college. Ophelia started this beautiful Garden Globes quilt in 2008 and didn't it come out great?! Sue redid her living room based on this quilt. Alison started this quilt when she was living in Abu Dhabi and worked on it at our Spring retreat this year. Alison also made this cute table runner! AMAZING tractor quilt made by Susie! Marie shared her lovely purse. Betsys' picnic quilt is too beautiful to put on the ground if you ask me! New member Brianna worked on this quilt top at our November Sew In. 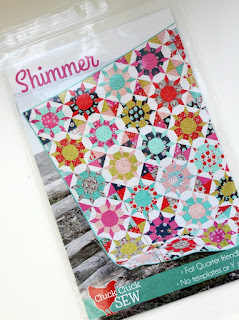 This was our block of the month last year and member Lori quilted it for her! Another holiday themed piece from Jesse! Janice designed and created her own purse pattern! Lori quilted this piece for Sandy. Such a fun baby quilt! Carolyn has been working on this quilt for 5-6 years. Lori quilted it and then Carolyn added hand embroidery. Mary Jean used all Japanese taupes for this quilt for her nephew that was quilted by Nancy T.
Carolanne used the twister tool to create this pinwheel quilt out of Carolyn Friedlander fabrics she received as part of our guild swap. We'll see you at our next meeting tonight (December 13th)! Our December meeting and holiday party will take place on December 13th. Voting for the 2017 board was sent out via email and results will be announced at the December meeting. We will also be voting on a proposed amendment change to our by-laws regarding membership. You can find the details here. We will be having a non-traditional Yankee Swap as part of the Holiday Festivities! The game rules will be shared before we get started and you won't be disappointed. 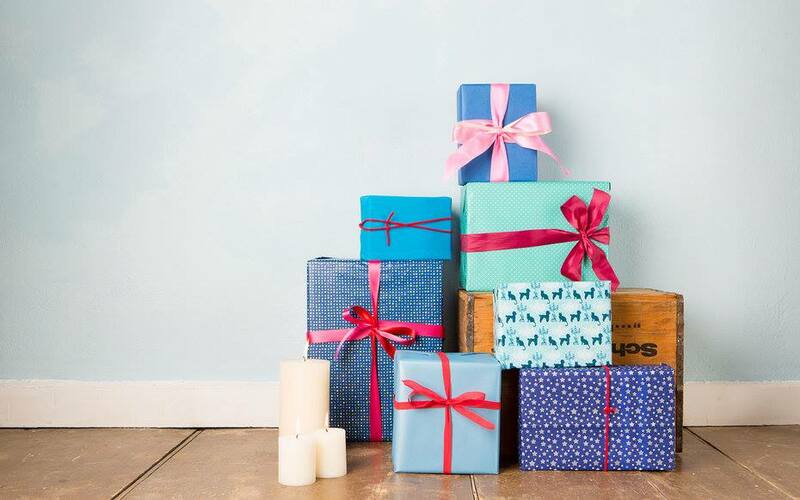 Please be sure your gift items are modern and cost no more than $20. 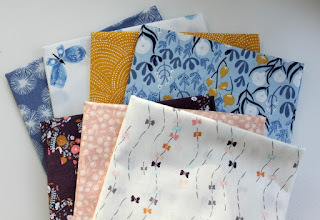 We posted some great swap item ideas on the blog last year if you need inspiration! Get your WIPs finished, we'll be drawing the winner of the Quilted Threads gift certificate for all finished WIPs at this months' meeting! Be sure to renew your membership by the December meeting so you will be entered to win a Hawthorn Threads gift certificate! 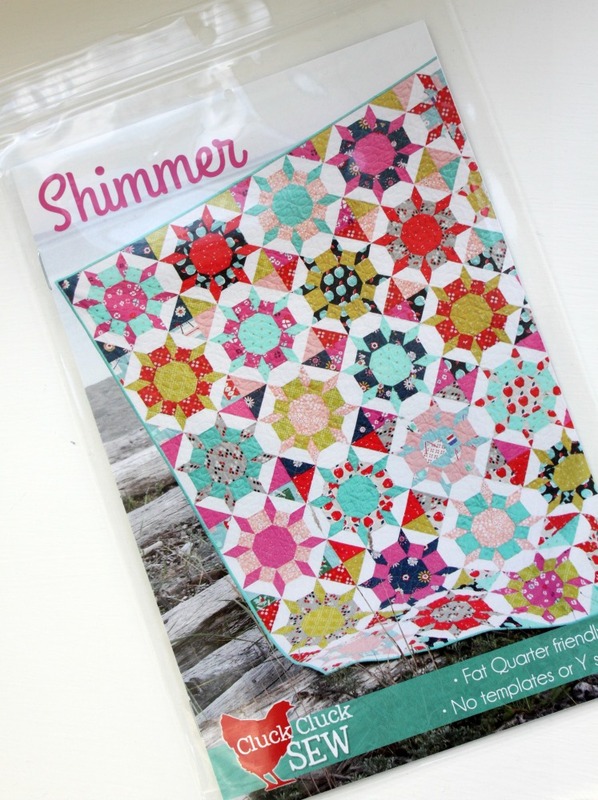 At this month's meeting, we'll be giving away Shimmer, a pattern in five sizes by Cluck Cluck Sew. 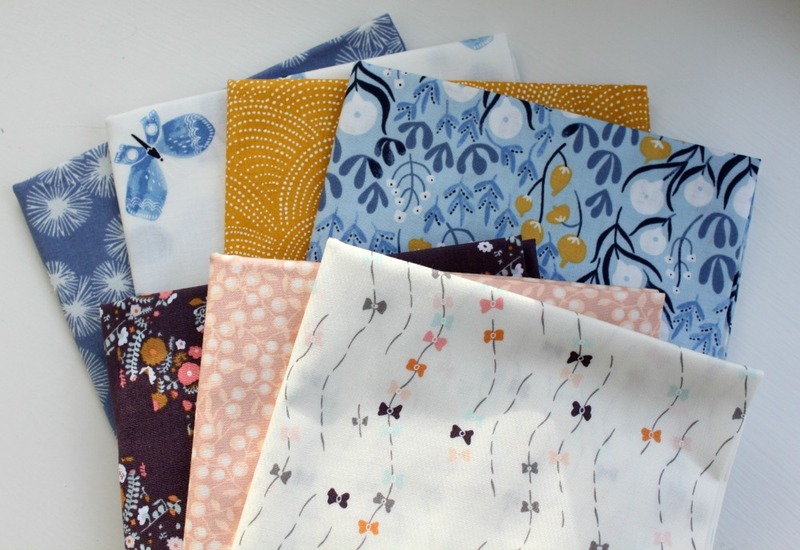 For the raffles, we have three half-yards of Blithe by Katarina Roccella for Art Gallery Fabrics, four half-yards of Honey Bee by Rae Ritchie for Dear Stella Fabrics, and a copy of the Quilter's Planner 2017.